No need to get gussied up for this sharp dressed wine basket. 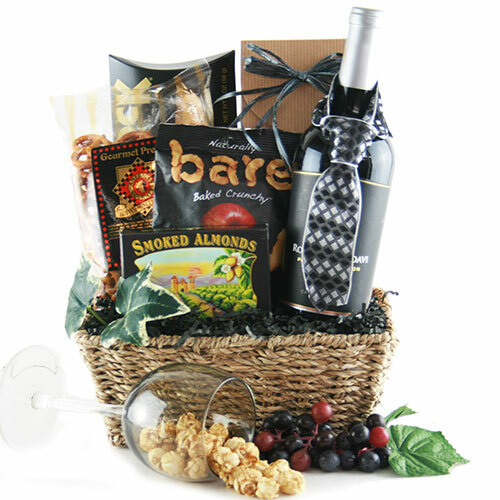 Your choice of a bottle of wine or champagne of wine is surrounded by a hearty collection delightful snacks. CONTAINER SIZE: 10" x 6.75" x 3.5"